From brand new facilities to renovations and additions, our automotive construction projects provide a broad look at what we can do. One of the first new prototype KIA dealerships in the US. 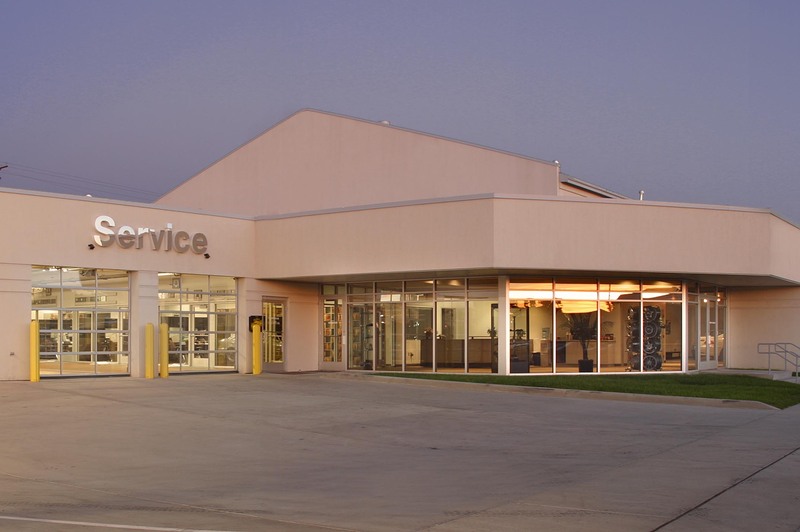 This state-of-the-art sales and service building has eight service bays, a display showroom, customer and sales support rooms, and a parts sales and storage area. Brand new freestanding sales and service dealership. 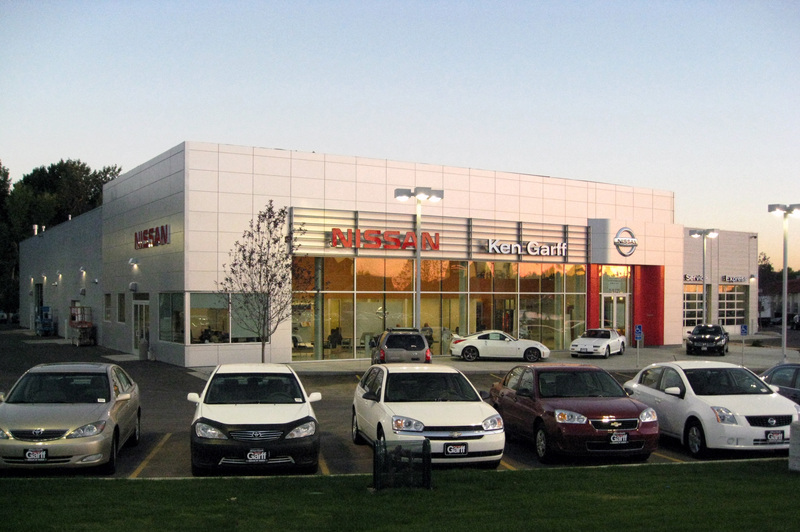 This Nissan Dealership is one of three individual Nissan dealerships completed for Ken Garff Enterprises. Renovated, remodeled and upgraded. 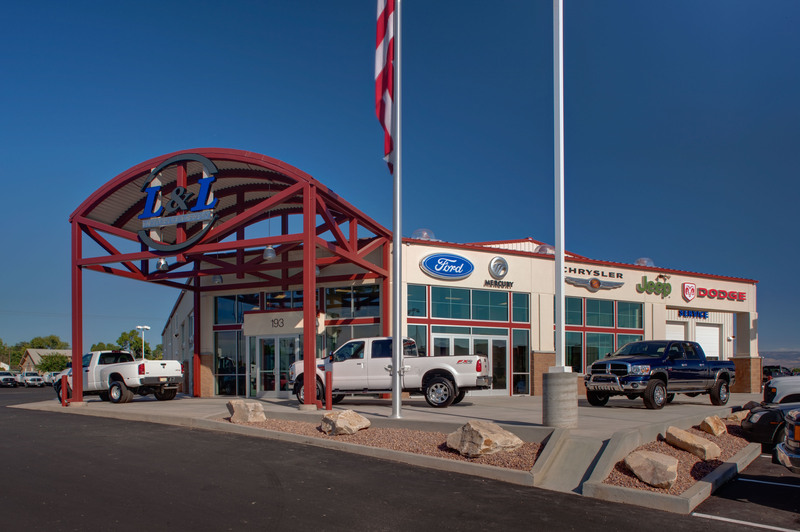 The renovation included a 10,000 square foot service write-up and quick lube bay that connect the existing showroom to a 53,000 square foot area for fleet sales, parts storage, and service bays. Unique and complex design. The new freestanding auto sales and service building for Ford and Chrysler auto brands includes a showroom, customer support facilities, parts and storage, and a 22,400 square foot, sixteen bay service shop. 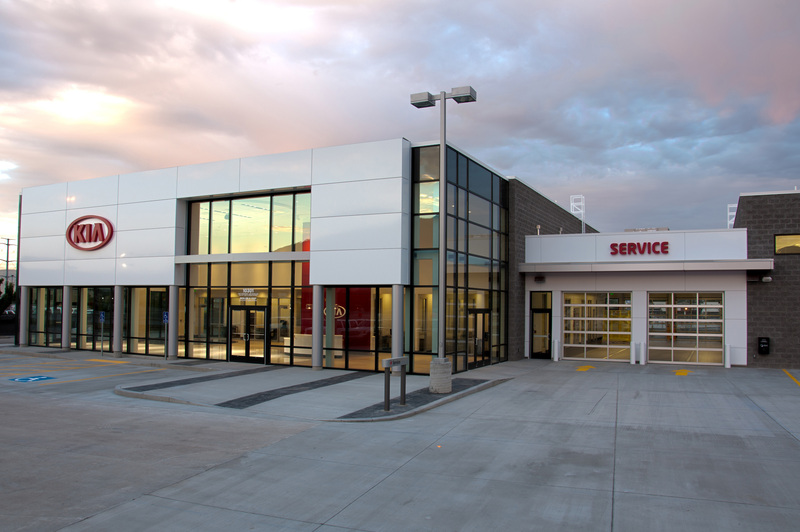 First new prototype Mazda dealership in Utah. 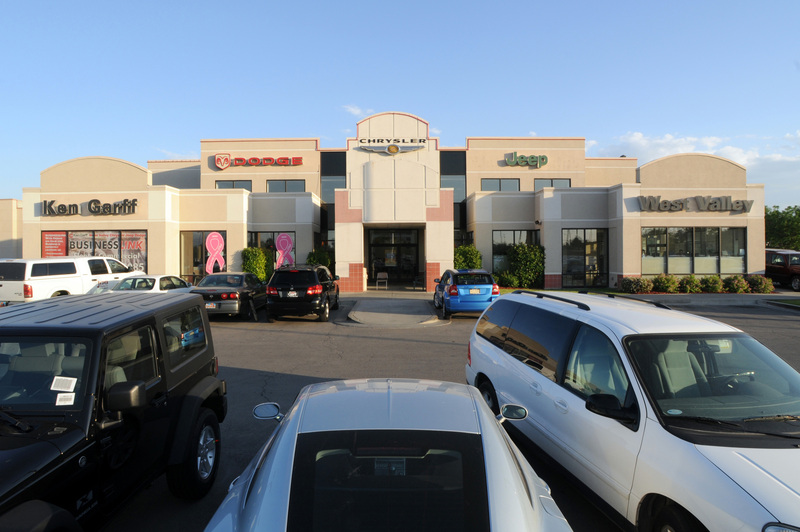 The Bountiful Mazda dealership required the demolition of the existing dealership and construction of the new 20,000 square foot building while business still operated. New 30,000 square foot addition. 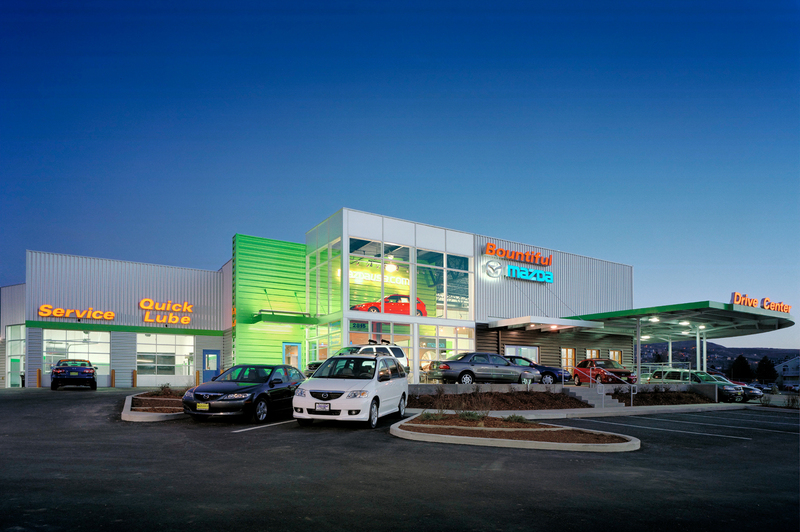 The renovation to BMW of Murray included a new vehicle service write-up area and vehicle service expansion.